This 'family' of four Vanquish Zagato models will yield a total of 325 cars. 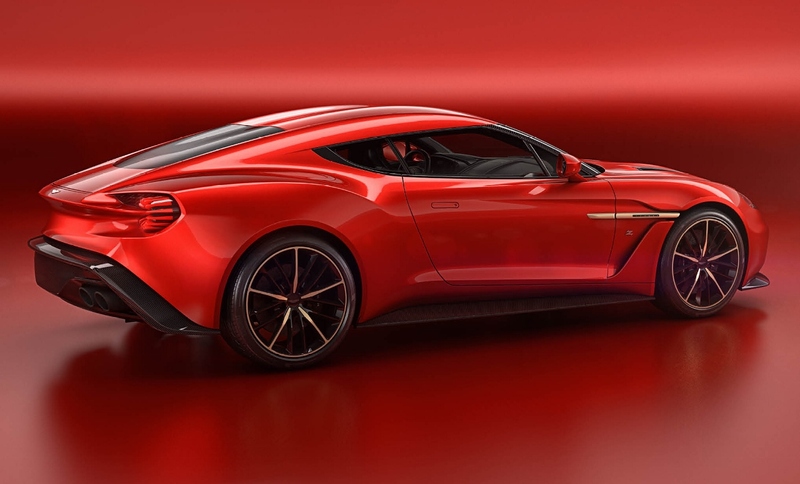 As the first member of the family, production of the Vanquish Zagato Coupes commenced in late 2016. Next to enter production was the Vanquish Zagato Volante. Once again strictly limited to 99 cars (all of which have been sold), production has commenced and deliveries will be completed through 2018. Of the two remaining models, the Aston Martin Vanquish Zagato Speedster is the rarest, with a production run of just 28 cars. As you would expect from one of the most collectible and covetable Aston Martins ever, all 28 Vanquish Zagato Speedsters have been sold with deliveries scheduled for 2018. 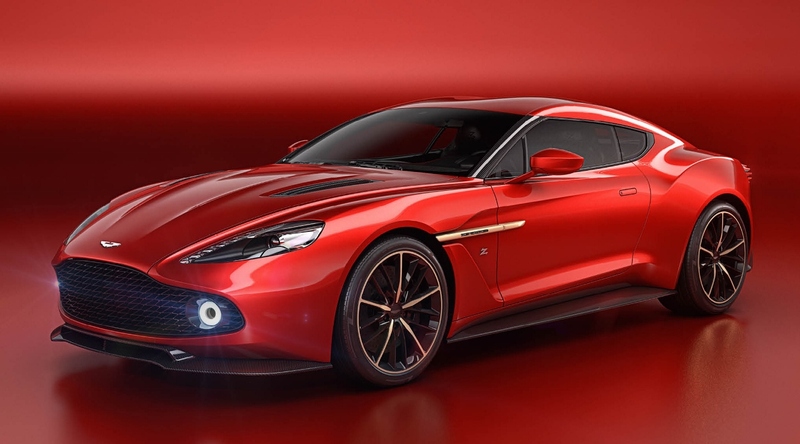 Completing the quartet, the Vanquish Zagato Shooting Brake will also enter production in 2018, with a total build run of 99 cars matching those of the Coupe and Volante. 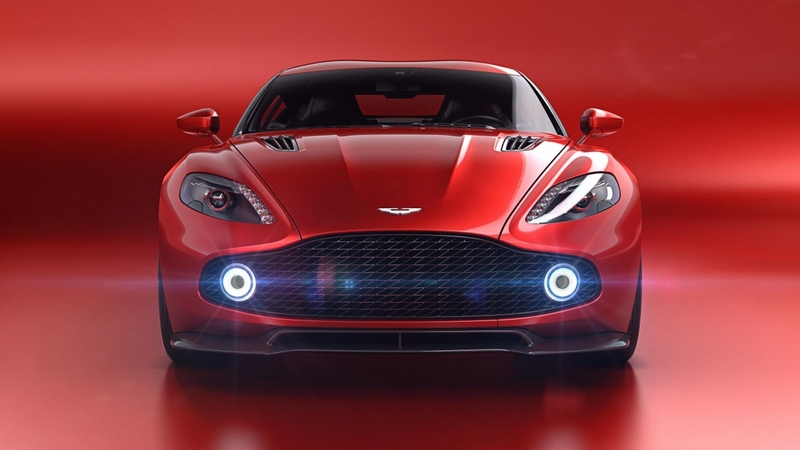 With all four cars based upon the Vanquish S, each Zagato enjoys the combination of 600PS naturally-aspirated V12 mated to the smooth, slick-shifting Touchtronic III transmission. Together with adaptive damping - fine-tuned for each model - the Vanquish Zagato family promises exceptional driving pleasure that is every bit as stimulating and memorable as their design. The Speedster and Shooting Brake represent the two extremes of the Vanquish Zagato family. The former is an uncompromising roofless design that expresses the raw excitement of an open-top ultra-high performance sports car. The boldest aspect of the Speedster's design is the Speed Humps that rise up to form streamlined cowls that flow back from the seats, representing Zagato's signature 'double-bubble' roof. 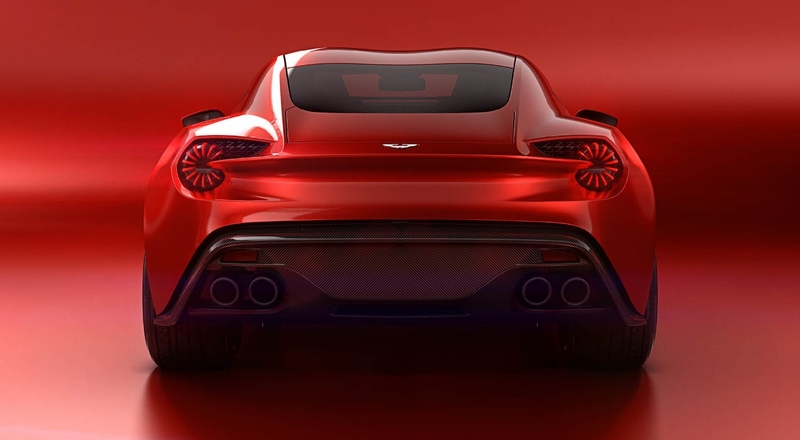 All the body panels are made from carbon fibre (like the other cars in the Vanquish Zagato family), while shared details, such as the Aston Martin Vulcan-inspired 'Blade' tail lights and repeated 3D Zagato 'Z' motifs in the front grille and rear vent meshes, create an unbroken stylistic thread that connects these otherwise individual creations. The Shooting Brake is still a strict two-seater, but one conceived as an individual and exceptionally practical GT. 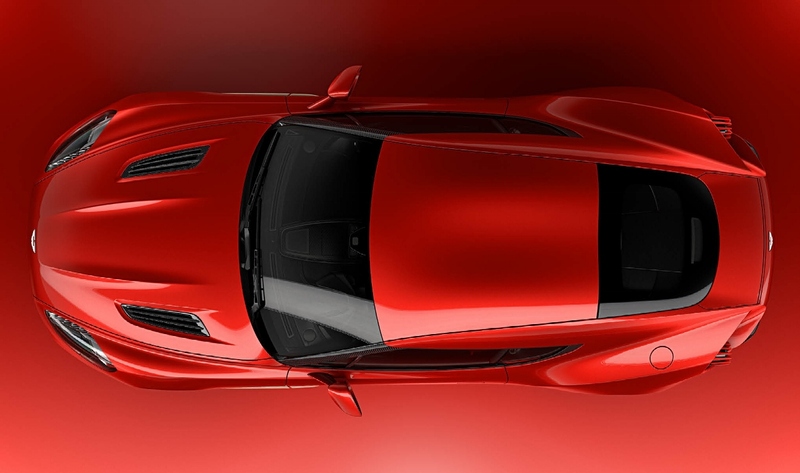 The extended roof on the concept sketch bears the iconic Zagato 'double-bubble' surfacing complete with glass inlays to let light flood into the cockpit. The sculptural roof culminates in a powered tailgate that opens onto a luxuriously trimmed rear cabin area, complete with a tailored luggage set. With dramatic herringbone carbon fibre facia with anodised bronze rotary controls, extensive 'Z' motif quilting and the option of a fully aniline leather upholstery, the Shooting Brake is a fitting complement to the Coupe, Volante and Speedster.